(Bloomberg) -- Illinois Governor J.B. Pritzker is targeting the richest residents in a push to raise more revenue for his cash-strapped state. It may help that the billionaire Democrat would have to pay more taxes, too. Pritzker, an heir to the Hyatt Hotels fortune who reported earnings of $55 million in 2017, wants to do away with Illinois’s flat tax that leaves everyone paying 4.95 percent whether they made millions or are a minimum-wage worker trying to make ends meet. "It’s wrong that I would pay the same tax rate as someone earning $100,000 -- or even worse, pay the same tax rate as someone earning $30,000," Pritzker said in a speech last month. Pritzker, whose net worth is estimated at $3.3 billion, is joining Democrats in at least half a dozen states that are calling for higher taxes on the wealthy, seizing on an idea that’s been thrust into the party’s contest for the 2020 presidential nomination as candidates tap into public anger over an economy that’s delivered big gains to the highest earners while others struggle to keep up. It’s built momentum since President Donald Trump’s 2017 overhaul cut corporate rates, with local hikes proposed in New Jersey, New Mexico, Washington, Massachusetts and California. 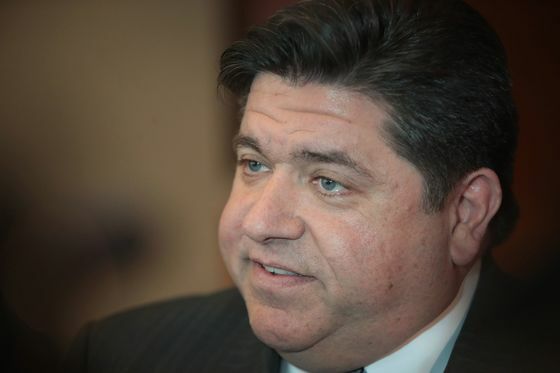 Pritzker wants to persuade the legislature and voters to alter the constitution to base tax rates on how much residents earn, as most states already do. People making more than $1 million, about 0.3 percent of filers in the state, would face a 7.95 percent tax rate, with slightly lower rates on those making more than $250,000. He estimates the income-tax changes, alongside an increase in the property tax credit and a new child credit, would cause 97 percent of residents’ bills to stay the same or go down while raising $3.4 billion for a state contending with chronic budget shortfalls and a massive debt to its pensions. Despite the tax-the-rich fervor, it may be a "tougher sell" to voters in Illinois than Democrats might think, said Sue Rezin, a Republican state senator. "Simply taxing people is not the answer," she said. New Jersey Governor Phil Murphy also faces resistance to his second push to enact a millionaire’s tax with a goal of raising about $447 million. The Democrat and former Goldman Sachs Group Inc. executive wants to institute a 10.75 percent tax on earnings above $1 million, saying it’s key to "ensuring tax fairness for the middle class." Still, his plan faces reluctance from fellow Democrats keenly aware of the high state and local property taxes residents already pay and a new limit in how much they can deduct under Trump’s tax law. Senate President Steve Sweeney has said lawmakers who support higher taxes will be punished on Election Day in November. Democrats have long favored higher taxes on the wealthy as a way of addressing income inequality in the U.S. The problem has worsened despite an economic expansion that is nearing the longest on record, with the wealthiest 1 percent seeing a 10.8 percent bump in real average income year-over-year in 2017 while the rest of the population saw just a 2.9 percent increase, according to a University of California at Berkeley study. The tax-the-rich proposals pending in states are "a reflection of a broader national trend towards recognizing what voters have felt for a long time -- that high income individuals and corporations are paying too little," said Carl Davis, research director of the left-leaning Institute on Taxation and Economic Policy. Democrats in Washington’s House of Representatives are seeking a new excise tax on the sale of stocks and bonds when they generate profits of $200,000 or more for married couples. It could raise $2.7 billion between fiscal 2019 and 2023 and affect less than 14,000 households, according to the proposal. The state doesn’t have a personal or corporate income tax. Gael Tarleton, chair of the Washington House finance committee, said wealthy residents are paying less of their income to "critical investments" than other state residents. The capital gains tax "would not even make a dent in their wealth," she said. Massachusetts Democrats have proposed a 4 percent tax on income above $1 million, raising about $2 billion a year for education and transit. The middle class is "tapped out" on taxes due to the state’s high cost of living, said Massachusetts state Senator Jason Lewis. "The wealthiest in our state are in a position where they could contribute a little bit more to help make these investments possible," he said. The Democrats’ push has notched an early win in New Mexico, where the party controls the legislature and governor’s mansion. Lawmakers passed a bill that would raise the top personal income-tax rate to 5.9 percent from 4.9 percent, which would affect married filers with taxable incomes above $315,000, if revenue fails to meet a growth target. Rod Montoya, a Republican state representative, said he thinks the changes will ultimately work out to his party’s advantage as people are hit with higher taxes. "A lot of the decisions made this year are going to really backfire," he said.